Before you can listen to music you will need to add a music player. Go to Add Music Player and choose the player of your choice. Upload and share the music you own with the rest of the Cubekonect community. Click the orange Add Music button and upload the music you love. After your song post, users will be able to create comments, play the song, add the song to their playlist, and konect the song to their followers. You don’t have to add music to create a playlist. Simply scroll through or search for your favorite song and click the Add to Playlist button while hovering over the cover art. 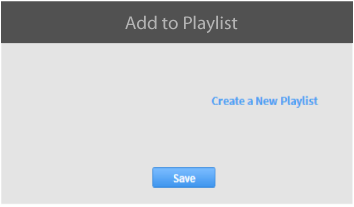 Create a new playlist, or add music to an existing playlist. After you create a music playlist go to Load Playlist. 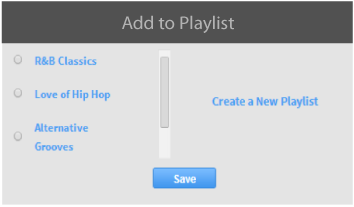 If you created multiple playlists, choose the one you would like to listen to and press play. Your music will randomly start playing at the bottom of the page. If you would like to look at your playlist click the menu icon on the far right of the player. 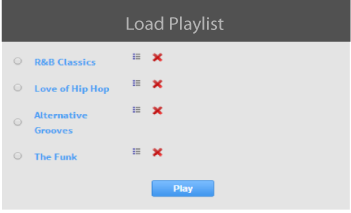 Load playlist will also allow you to edit the songs within your playlist or delete them completely. Why limit your created playlist(s) to just your desktop, take you music on the go. Download the mobile app and instantly have your created playlist(s) available on any mobile device. The Music Lives icon will activate your playlist(s) on the app.